This beautiful home in SeaNest Village backs up to a protected State forest offering privacy, walking trails and beautiful views. Only a 4 minute walk to deeded beach access and a 30 second walk to the stunning community pool! 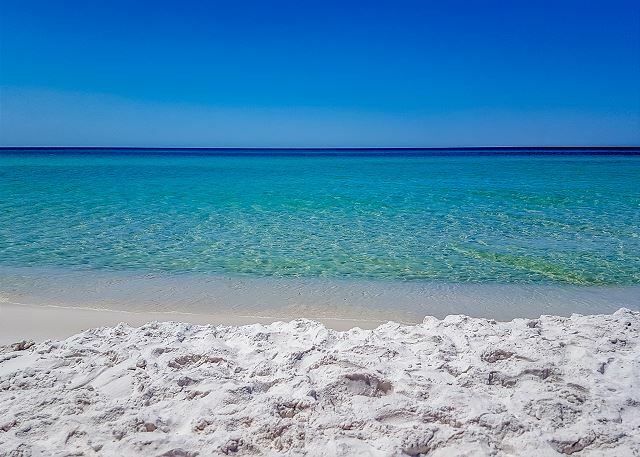 Perfect location in the heart of Seagrove Beach! This home is as close to perfect as you can get. Wonderful open floor plan with large eat in kitchen that opens to dining and family room. Professionally decorated with serene earth tones that creates a restful and relaxing space. Two Large Master Bedrooms w/gorgeous en suite baths. Two car garage with covered porches on two levels. 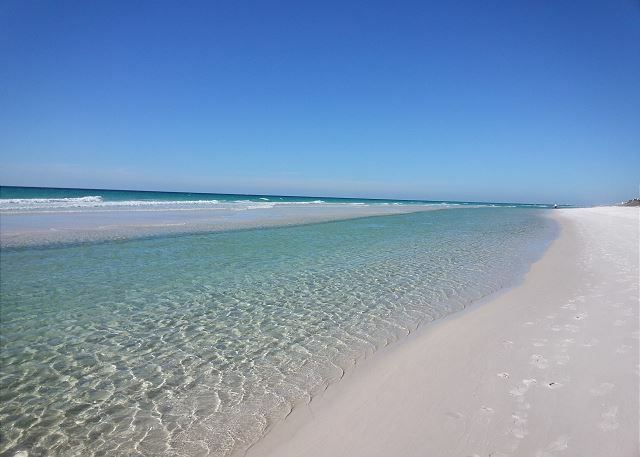 Central location on 30A close to shopping and dining. 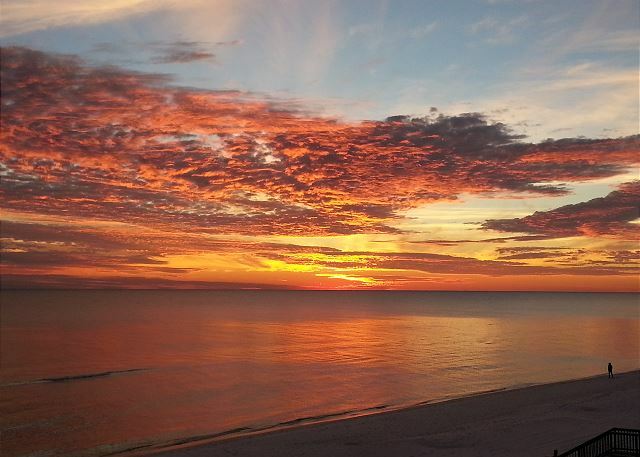 SeaNest Village is a Gated & Architecturally controlled community directly on Scenic HWY 30A. This quaint neighborhood offers peace and privacy, only 43 Lots in the subdivision and bordered by Point Washington State Forest to the North. As you walk up to the second floor, you are greeted with a large open-concept kitchen, living, and dining area. Off of the living area, there is a quaint balcony facing the state forest with two lounge chairs and a state-of-the-art gas grill. There is also a king suite located on the second floor with an en-suite bath that includes double vanitites, a glass enclosed shower, and a garden tub. Moving up to the third floor, you step into a second sitting area. On the third floor, there is another master king suite with a huge bathroom that includes double vanities, a glass enclosed shower, and a garden tub! There is also a private balcony off of the 3rd floor master bedroom. The house and it's amenities were perfect for our family! We had the beach almost to ourselves even though it was a popular holiday. We were able to relax and enjoy everything without the crowds. Sea Echo is a beautiful home that was clean and had comfortable decor. It is very close to the pool and a short walk to the beach. Our greatest complaints were the lack of kitchen pots/pans and getting caught up in the community issues with the beach rental service. Rent Gear Here is NOT the group to use - head to the beach and call one of the companies who already have umbrellas and chairs set up and you'll save yourself half a day and many headaches. Benchmark should keep up with h the ever-changing beach area "ownership." Sea Echo is a wonderful house. It backs up to a protected green belt which makes it private. It is very near the community pool and a short walk to the beach. Quiet and Restful-Great location to the beach! This is a beautiful home in everyway; very well maintained. You could not ask for a better location. You just walk across the street and you are on a private beach with no one to bother you. The home comes with chairs, umbrella and a wagon to carry your things to the beach. With the home being set back from the street it is quiet. It is small gated neighborhood with a nice pool too. We felt like we were close to everything but not in the middle of many people. Kind of felt like a local. This home is hard to beat. Plenty of room, I can't think of anything missing! House was great, very clean and well appointed. Beach access is right across 30a in a private neighborhood, so the beach was not crowded at all. Great location as the house is equidistant from Seaside and The Hub. We would definitely stay here again! Thank you for submitting your review - we would love to have you back any time! We are glad your enjoyed your stay at Sea Echo - it is truly everything you said! Great location which is convenient to many of the area's finest dining and shopping, private gated beach access just across the street and the resort-like pool is just at the end of the drive! Sea Echo is a great home for planning those family meals together - plenty of room for everyone to be involved and the living area is just off the kitchen for those family members that are better served staying out of the kitchen!! It is time for your family to have a 5 star experience so call Benchmark today and we can help to make those dreams come true! Spacious home. Well appointed. Beautiful community pool with gorgeous walking trails behind the house. Thank you for submitting your review! 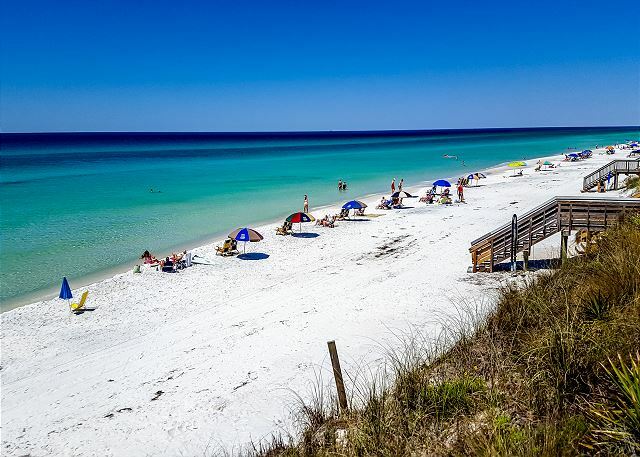 This is truly a gem along 30A for all the reasons you mentioned! This is such a wonderful location as well - tucked back for privacy but close to everything that makes 30A a vacation destination! We do hope that you will join us again soon! 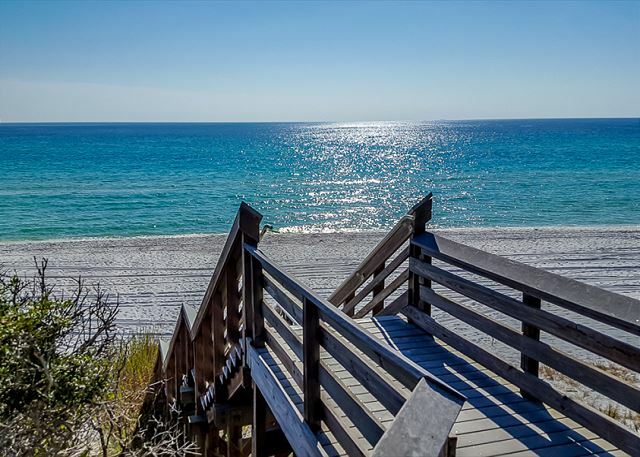 Great house with plenty of room and quiet part of 30A! A great house and location. Spent a great birthday weekend down at Sea Echo. The house was amazing and there was plenty of space for 7 adults. Felt like we were the only ones in the neighborhood and the pool was just across the street. Beach access was awesome and truly enjoyed our stay! Will be back! So glad you took the time to submit a review! This home is a gem tucked away for peace and quiet but right in the heart of it all - the best of both worlds!! We hope you had a wonderful birthday and we would love to celebrate many more with you! Thank you for submitting your review! Certainly hope you can continue to come for another 35 years! Please let us know if we can be of assistance in the future! We absolutely loved this house and the community. It has a great pool and the walk or bike ride to the beach was a breeze. Loved not being in Seaside with the crowds but close enough to bike there. Thank you for submitting your review! Isn't this a great property!! The location is great and the bike paths do make it easy to get to different areas! We do understand that there are crowds at times - 30A has become a worldwide travel destination!! All of the listing details were 100% accurate - the location is perfect and the house beautiful. The house is well stocked, we literally didn't need a thing, and the extra care and attention to detail was obvious. My children (ages 17 and 12) loved the low key nature of the community, which includes less than 20 homes or so. The house backs up to a beautiful state park with trails. My boys asked if we could book this house every year! We did call the property manager twice one day with questions about the grill (which wasn't working) and beach chair rentals but never heard back. Other than that, everything was perfect.